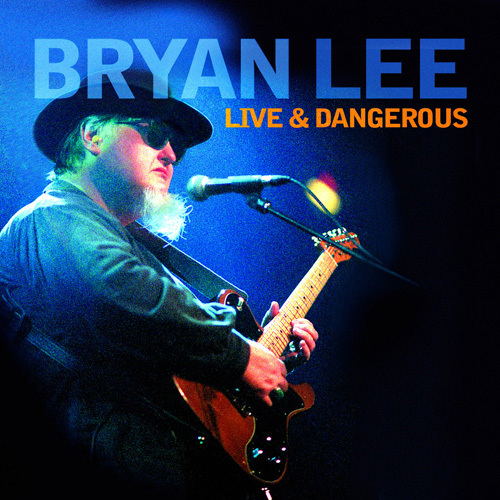 New Orleans bluesman Bryan Lee gives modern electric blues a good turn. He could teach the Blues Brothers a thing or two. At 62, he's still busy on the road, creating soul-stirring blues for live audiences all over the world. Recorded at the Spectrum Concert Hall in Montreal, Live & Dangerous features a program of original songs and well-worn covers. Lee fires up his electric guitar and drives each message home. He sings 'em with a youthful voice and convincing inflection. He's the real article. Bruce Katz adds a powerful organ and piano voice that lifts up every song in celebration, as Lee's fiery guitar sizzles with emotion. "Second Line Home" combines the tradition of New Orleans jazz and blues into one soul-strutting outburst that invites the feeling of Mardi Gras. So why not celebrate all year 'round? We need that. Ike Turner's "Gave You What You Wanted" sets the house on fire with a funk anthem that simmers gracefully in a rhythmic groove. "Hug Me Til it Hurts" drags a little slower with the kind of blues that leaves a lasting impression. Just try to stop yourself from moving to the rhythm as Lee and the band cook this one to a slow boil. His guitar speaks loudly and seriously. Lee's "Six String Therapy," the longest track on the album at over fifteen minutes, lets him explain what the blues does for us and how important it is for our daily survival. We've all learned our lessons, and it sure does feel good to share them with someone like Bryan Lee—who's been there, done that, and knows how to explain the message in stellar musical terms.